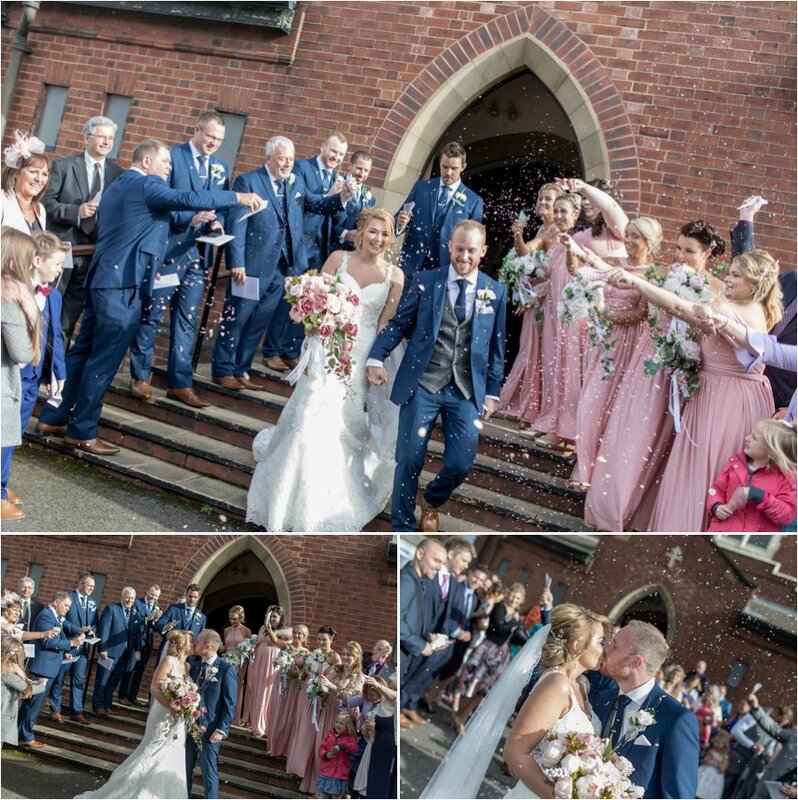 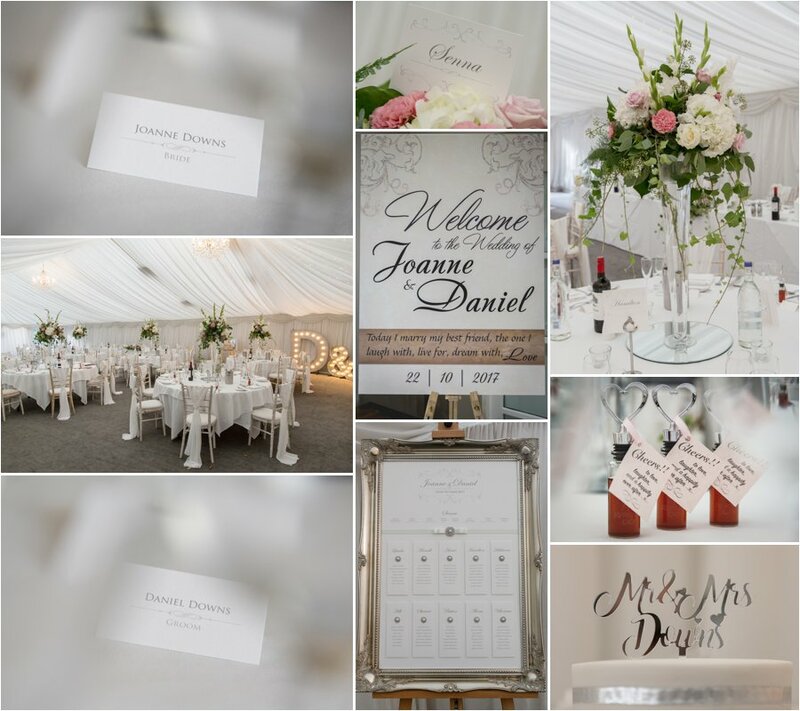 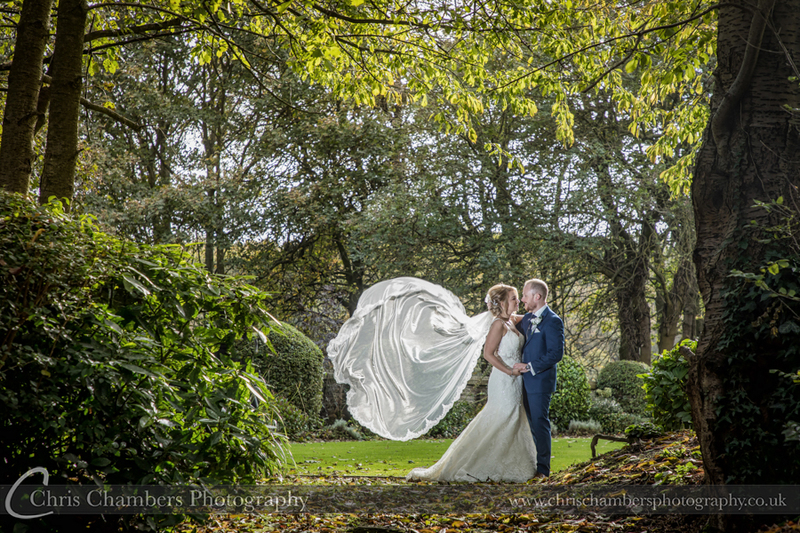 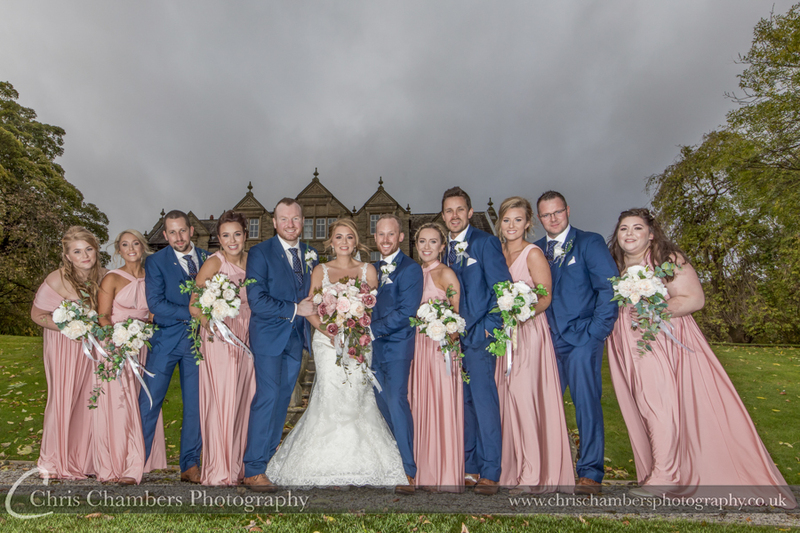 Dan and Joanne were married at St John The Baptist church in Normanton before celebrating at Woodlands Hotel near Leeds. 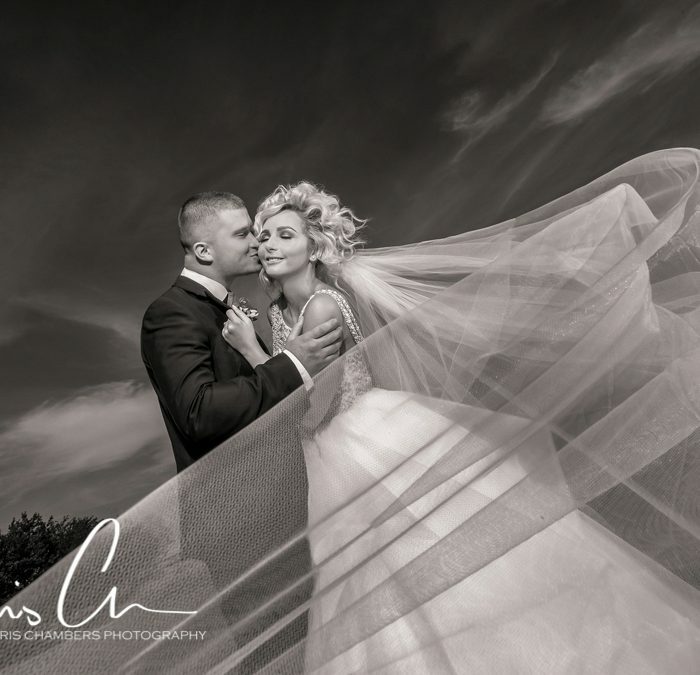 The following blog post includes many of the images we played on a slideshow during their evening reception. 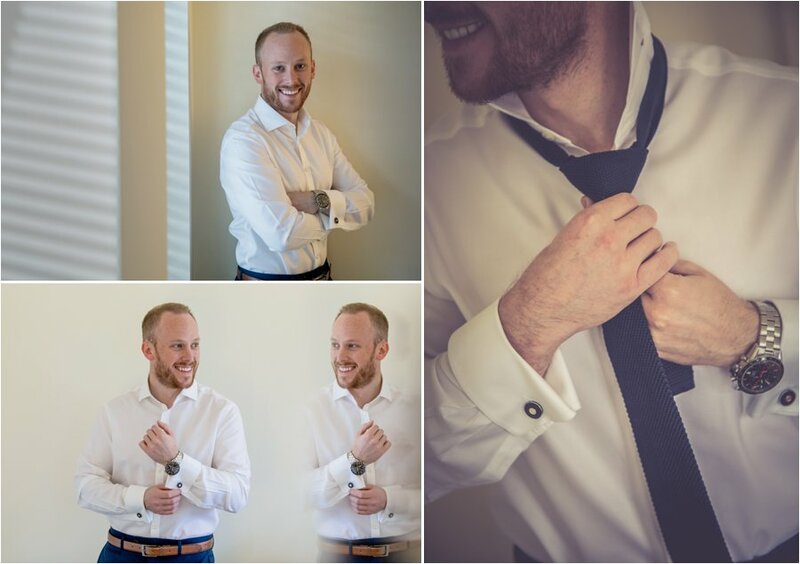 Our Day began with groom preparation photos as Dan and his groomsmen prepared for the day ahead. 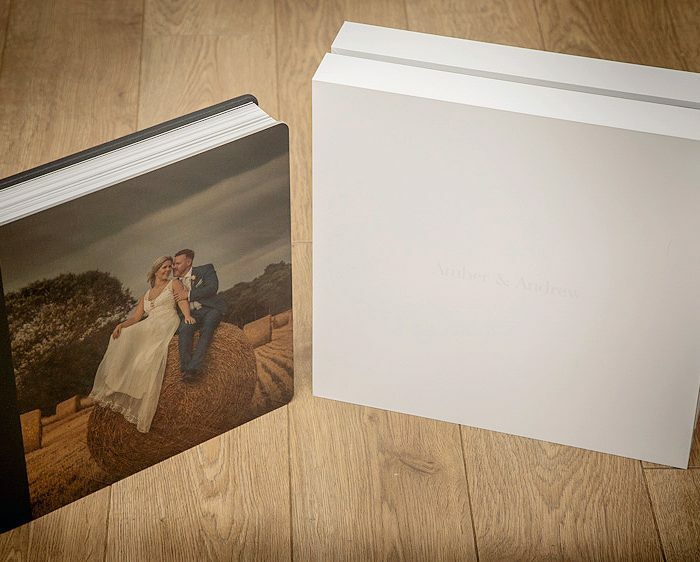 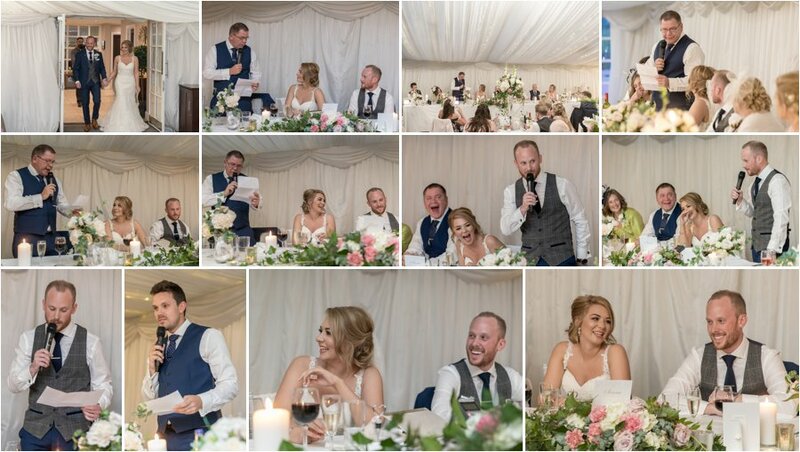 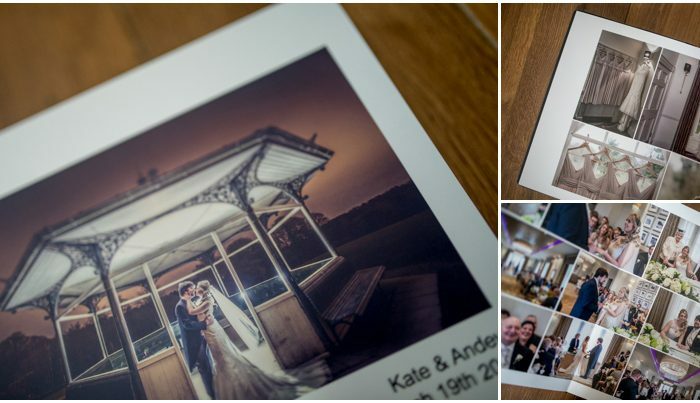 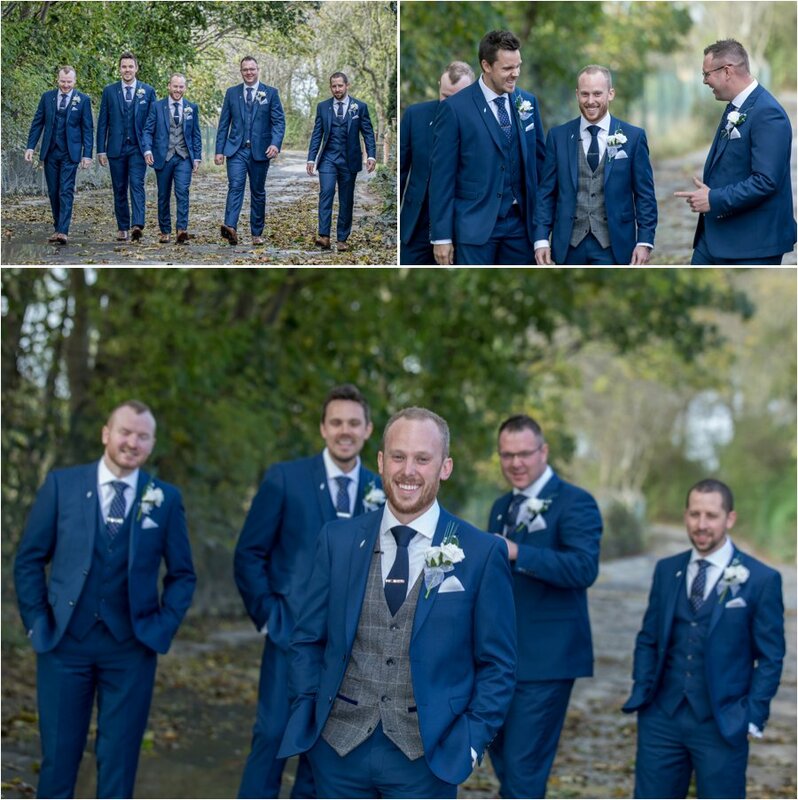 Typically lasting around thirty to forty minutes, some images of the guys getting ready always make a superb couple of spreads in our Exclusive storybook wedding albums. 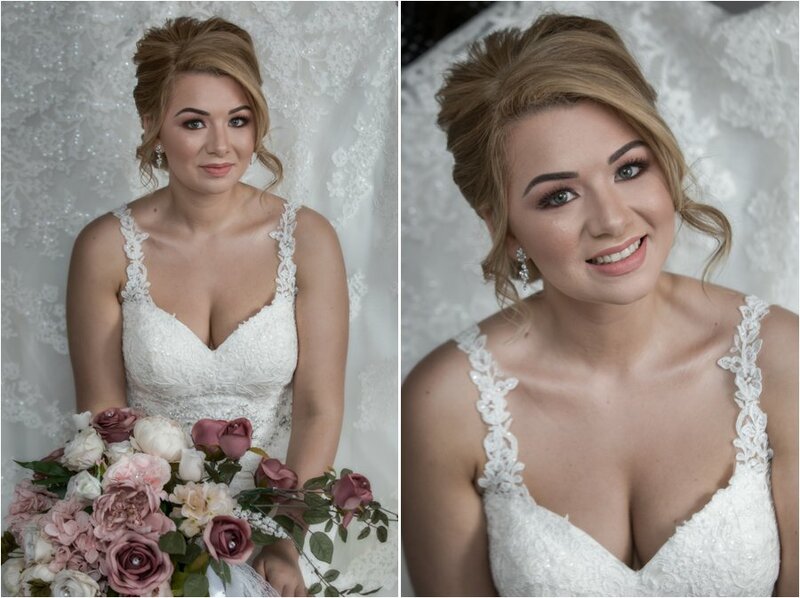 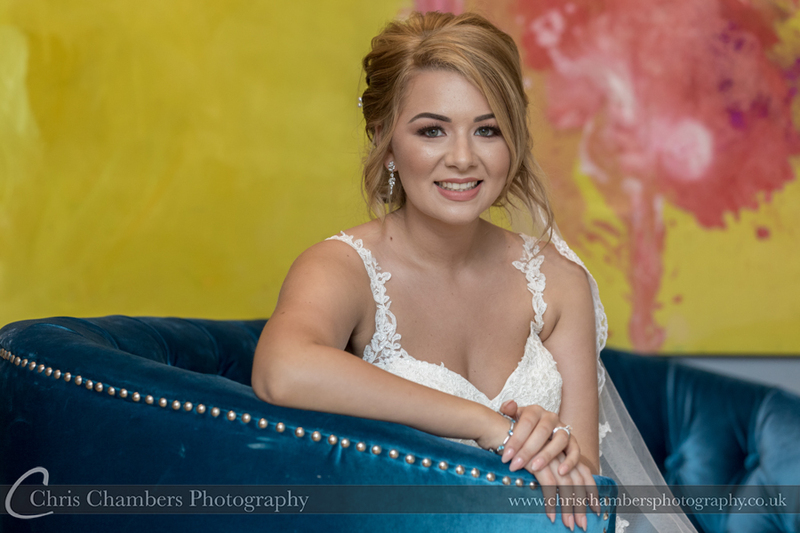 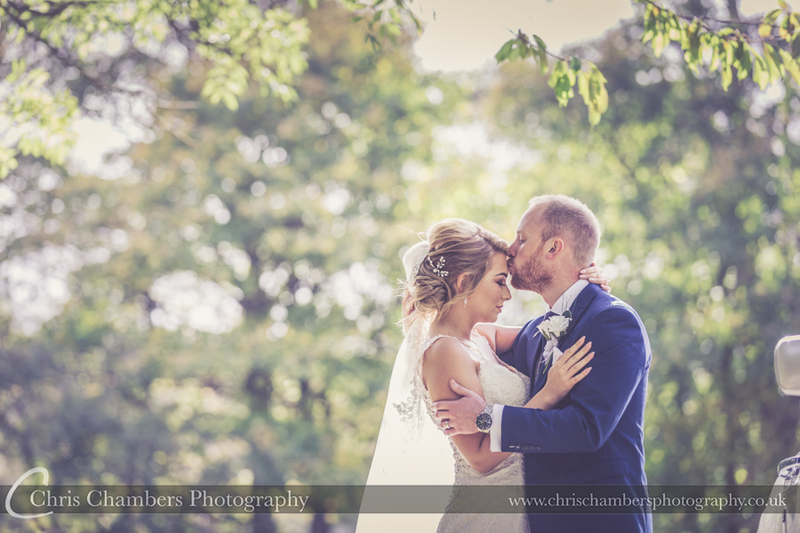 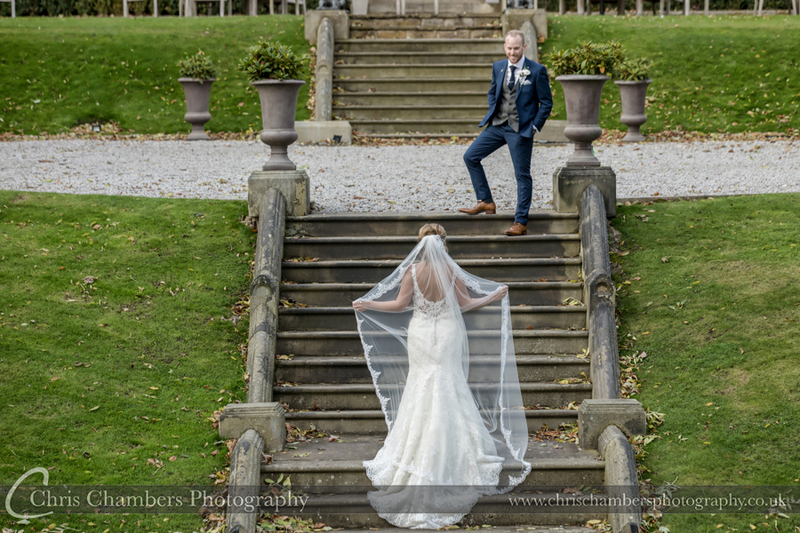 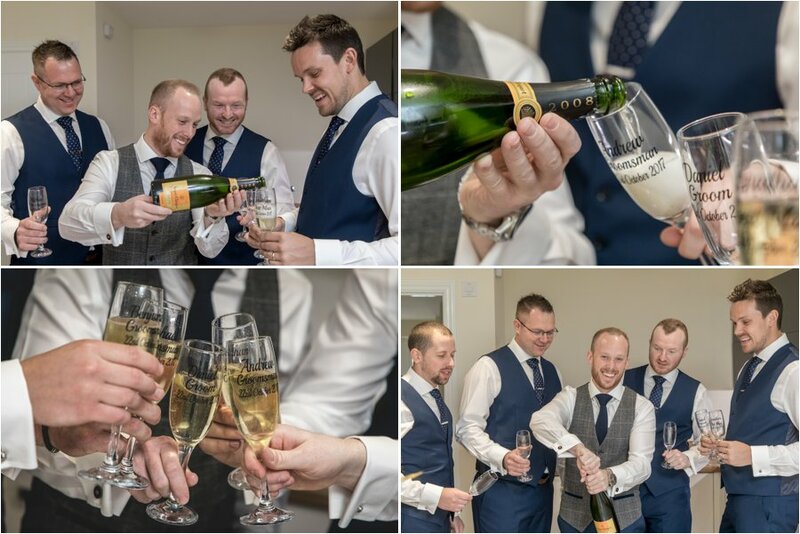 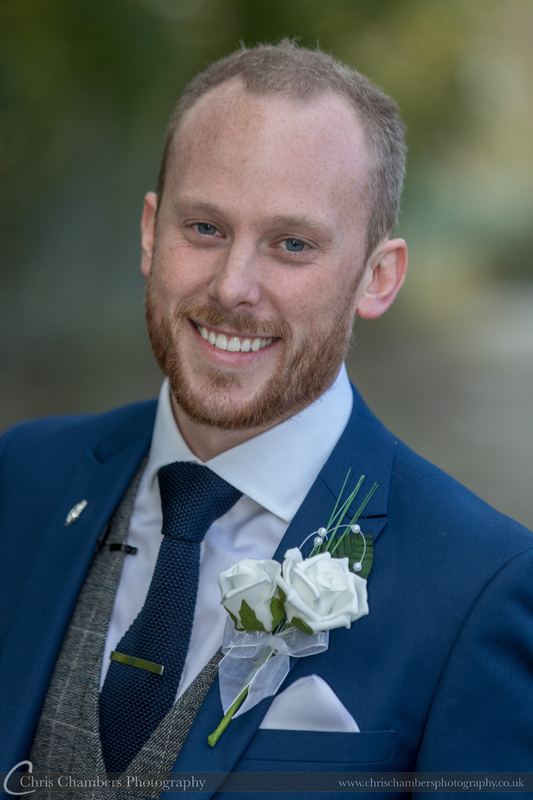 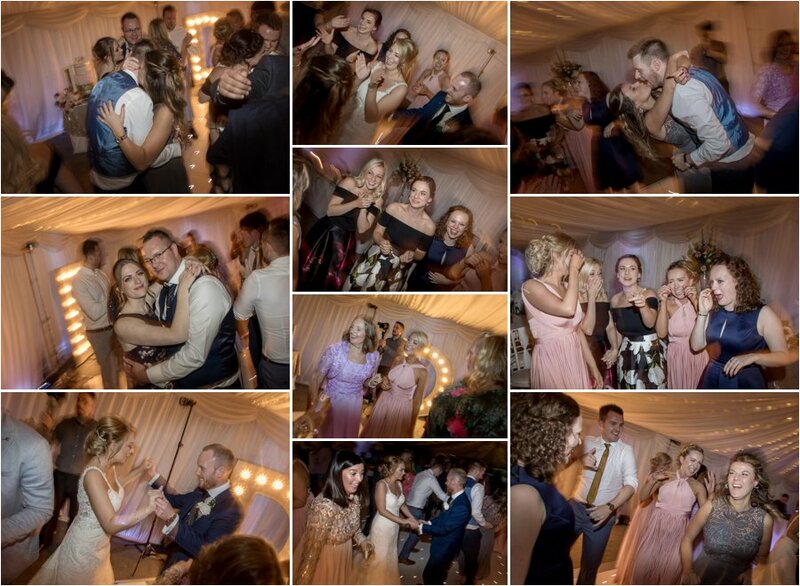 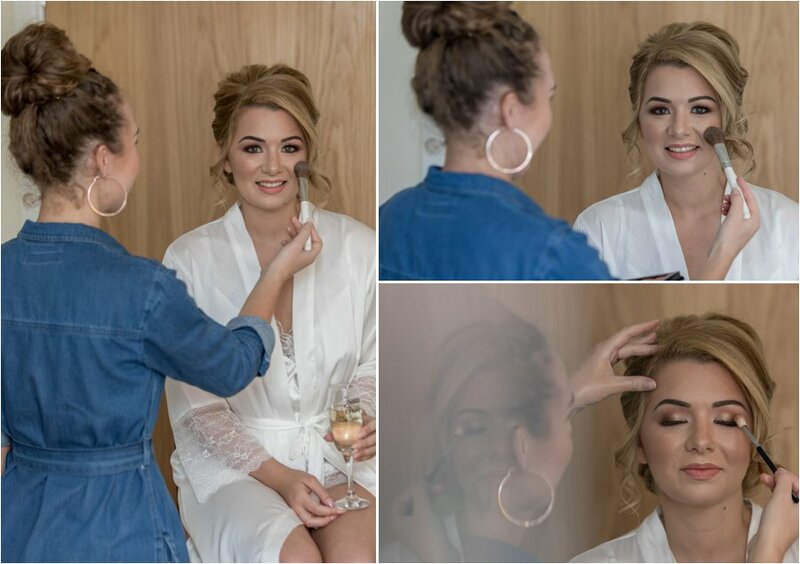 Following groom preparation we headed off to Ackworth to join Joanne and her bridesmaids as they were finishing off their preparations and with make and hair dressing in full swing we had plenty to photograph. 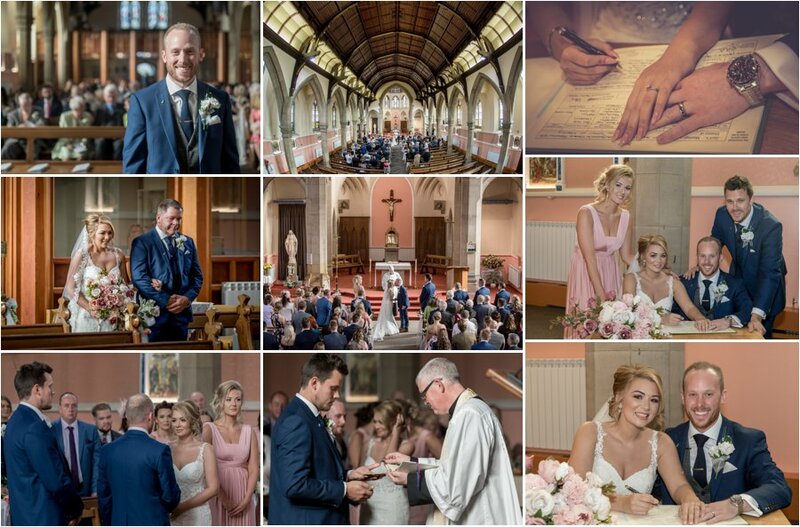 It’s always good to have a priest who allows photography during the wedding ceremony, this meant I was able to position myself near the front whilst Sophie was photographing the wedding from the back of church. 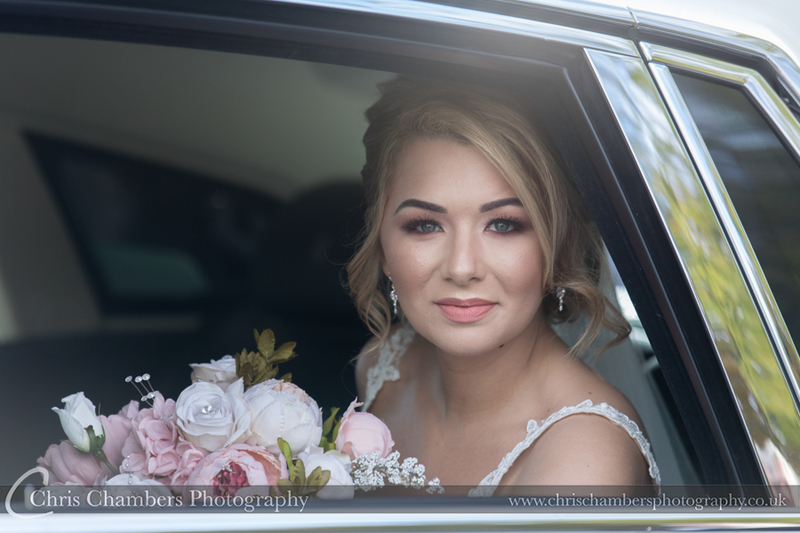 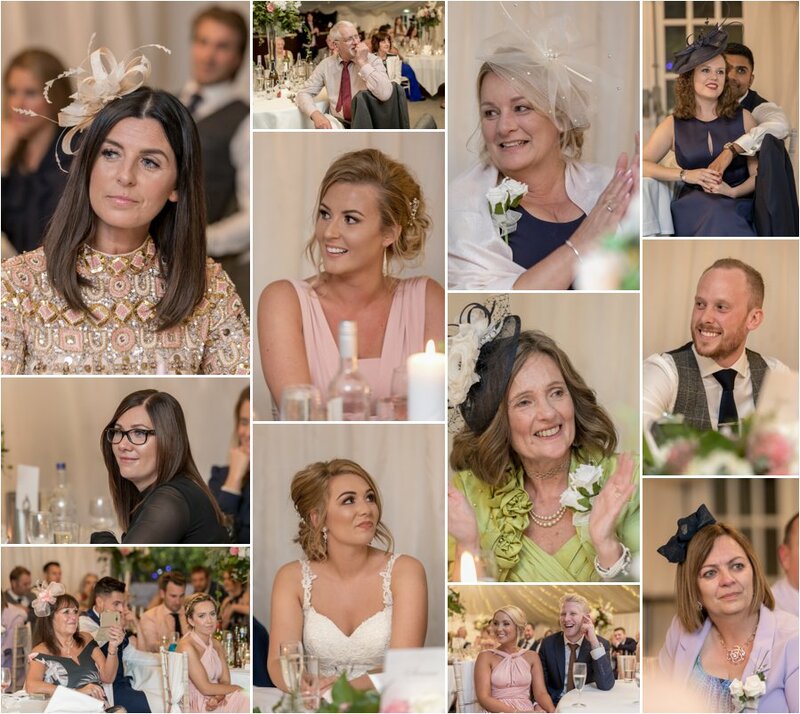 Working discreetly and keeping out of the way means we can still capture the key moments of the wedding ceremony without being too obtrusive. 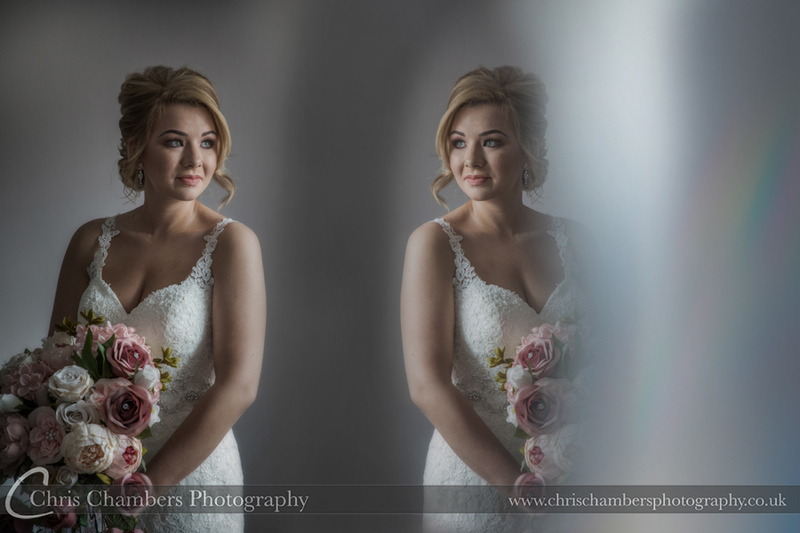 The light and bright interior of St John’s works really well. 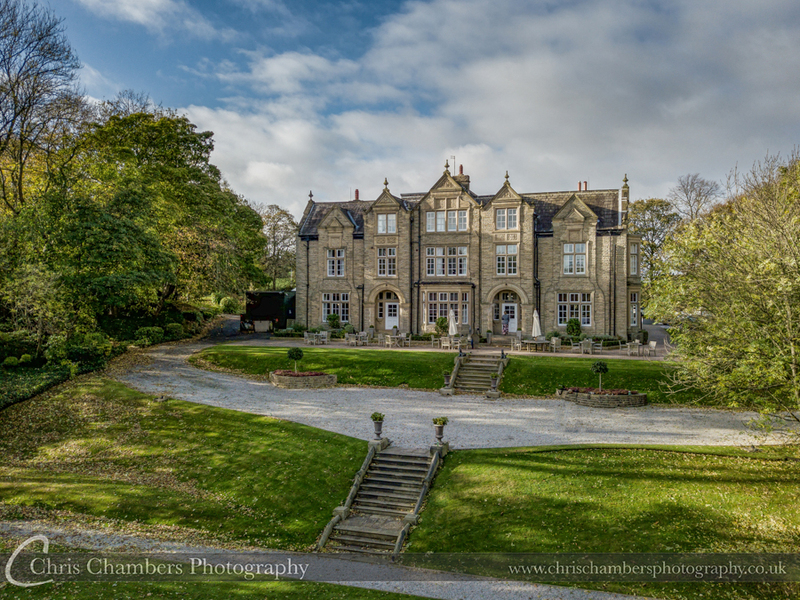 Following a little windy confetti throwing we made our way to Woodlands Hotel near Leeds for the wedding reception and rest of the days activities. 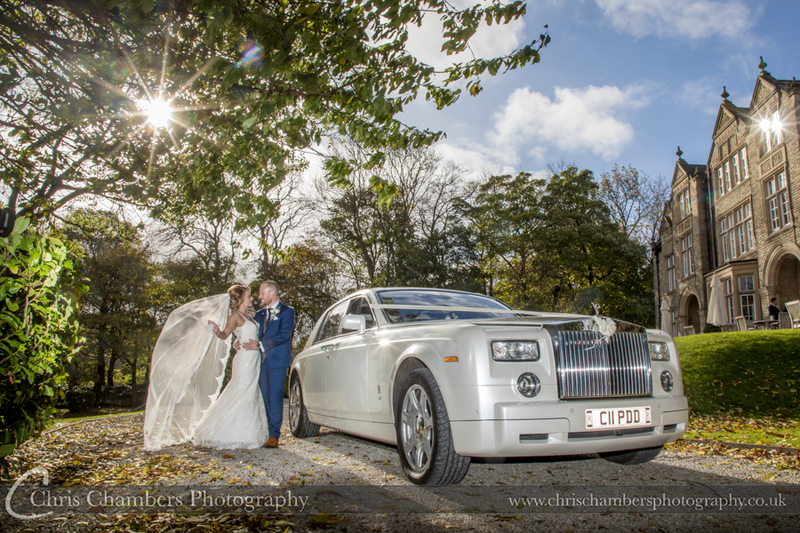 Photographs with the wedding car followed by a number of family groups before everyone made their way indoors to complete the drinks reception before the wedding breakfast. 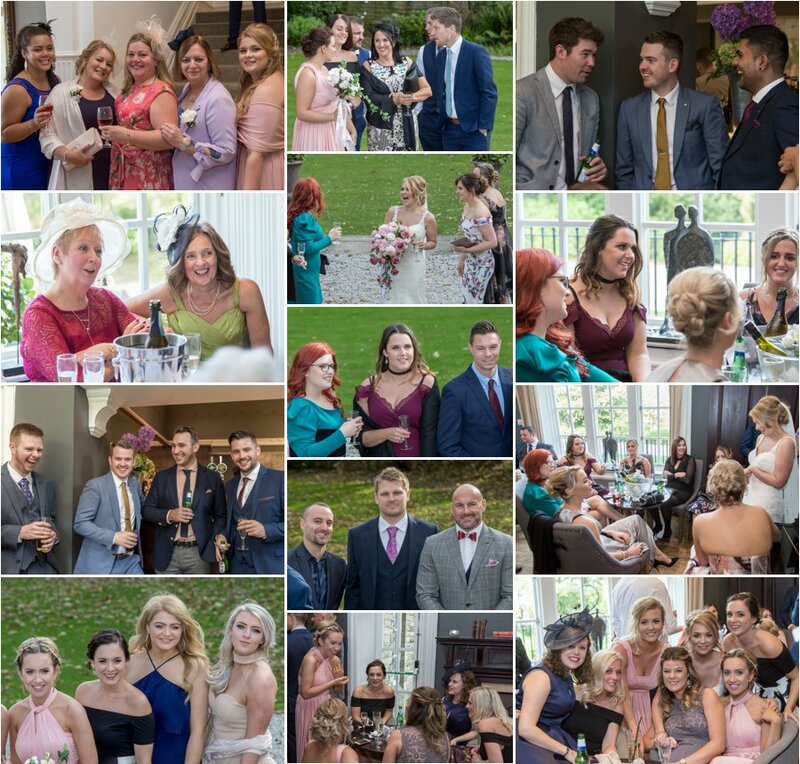 The ideal opportunity to capture some candid moments as guests relaxed in the bar and public rooms of the hotel. 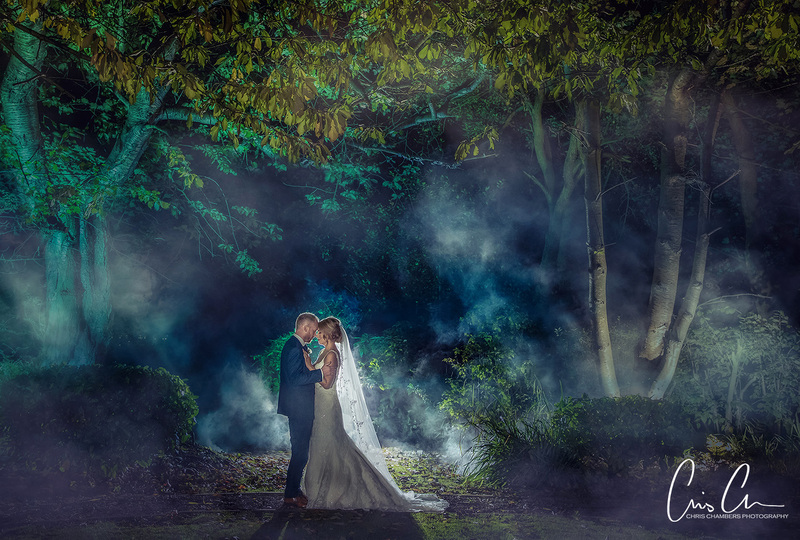 It’s a once in a lifetime opportunity and one we try and capture at as many weddings as possible. 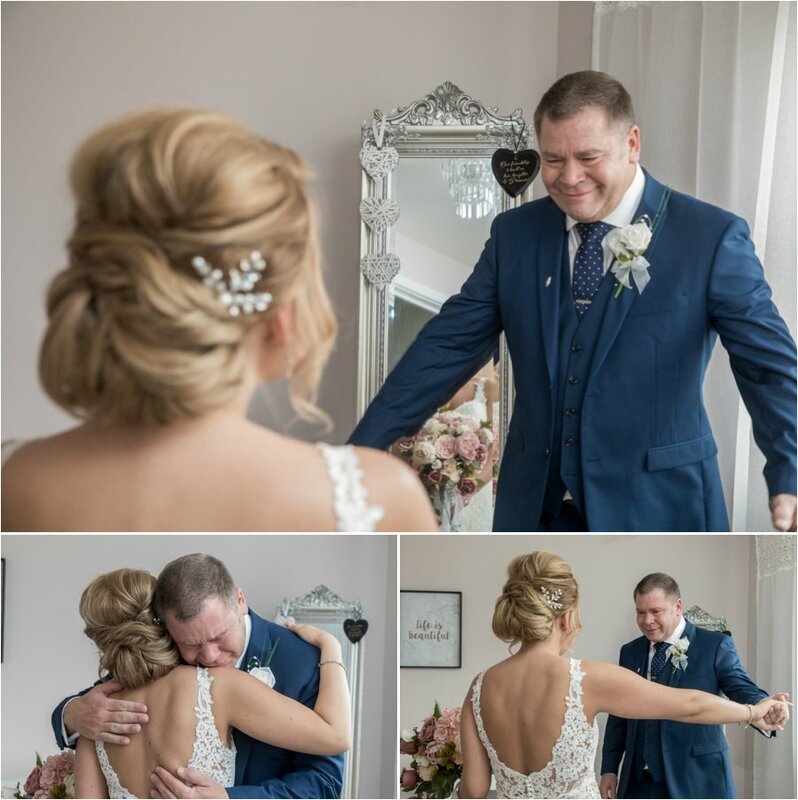 Father of the bride seeing his daughter in her wedding dress for the first time, lots of emotions in the room but a series of wedding photographs that will always make the wedding album. 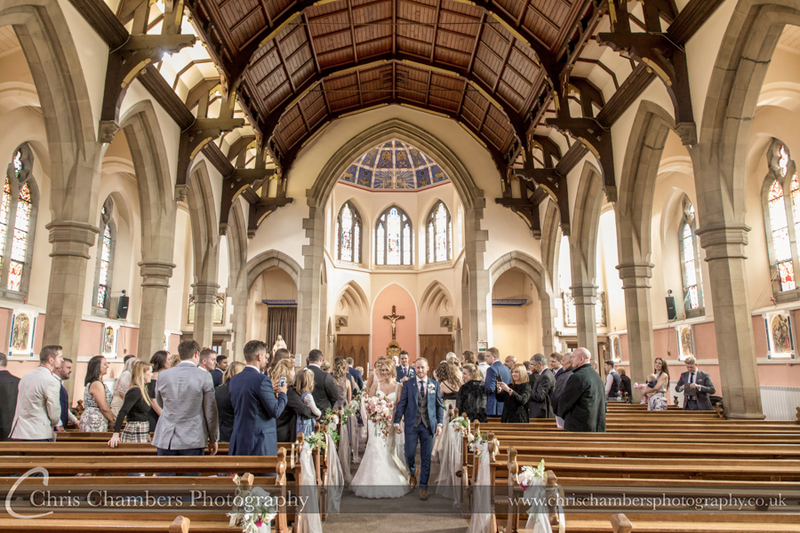 St John the Baptist Church in Normanton. 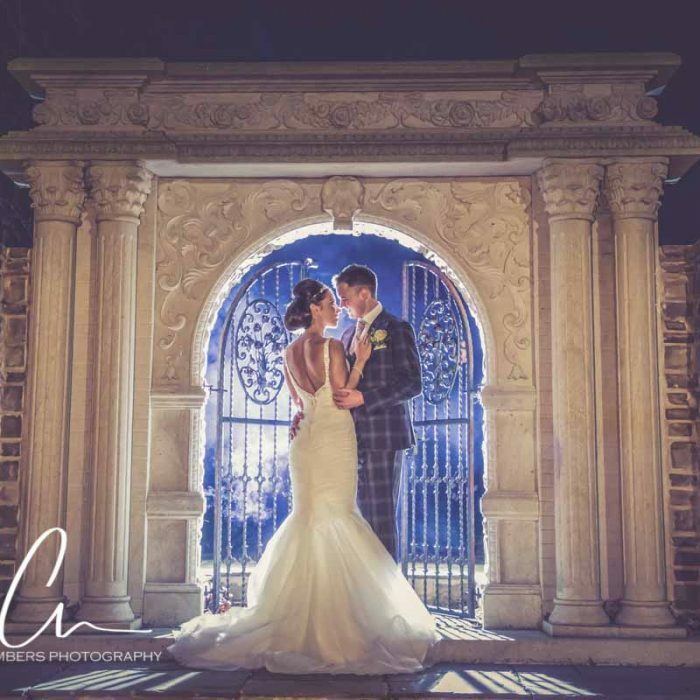 After first dance we took the opportunity to pop outside with Joanne and Daniel for a couple of photographs within the grounds of Woodlands including using smoke and a number of coloured flashes to create the wedding photograph above. 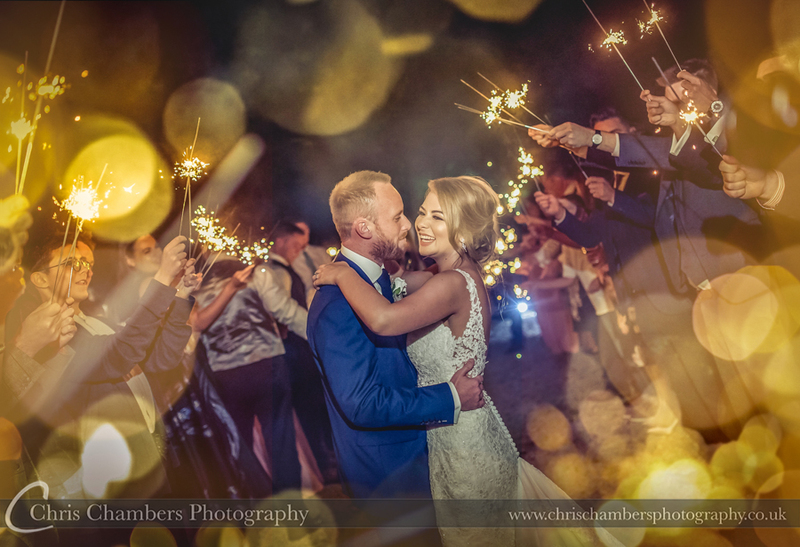 Our wedding photography coverage ended with all the guests outside the hotel for a sparkler exit tunnel photograph.